If you’re looking for a simple room at a good price in central Tokyo, then the Comfort Hotel Tokyo Kanda is a good choice. Kanda is just one stop north of Tokyo Station on the JR Yamanote Line (the Tokyo loop line) and this hotel is about 10 minutes walk east of Kanda Station. The area around the station is packed with good cheap restaurants and shops. So, while you may not have heard of Kanda, it’s not a bad place in which to be based. 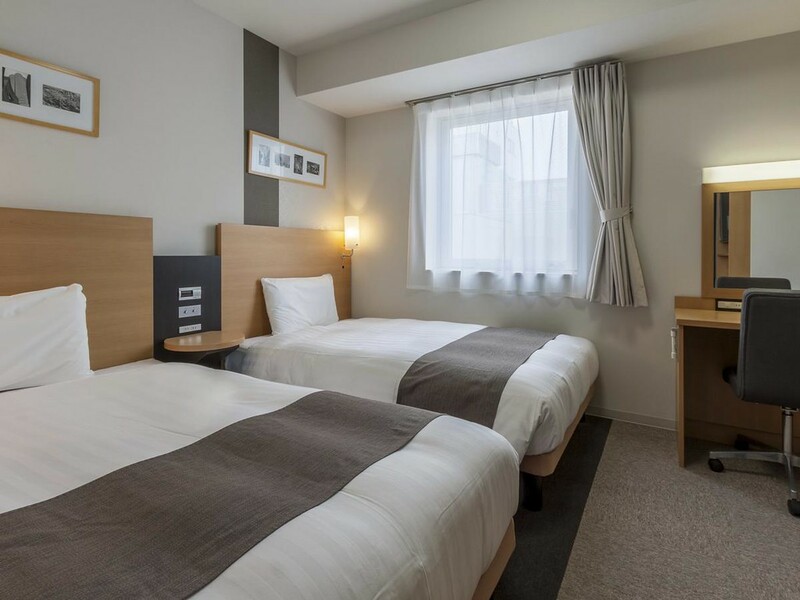 The Comfort Hotel Tokyo Kanda is a simple and standard business hotel. Rooms are small, but that’s normal in this price bracket. A simple buffet breakfast is included with your room rate, which is convenient in Tokyo. Rates hover on the border between budget and moderate. So, all in, the Comfort Hotel Tokyo Kanda is a good choice for those on a budget who want a decent room relatively close to Tokyo Station. :: Check availability and pricing for the Comfort Hotel Tokyo Kanda on Booking.com or Agoda.com. Subway: 3-minute walk from exit A5 of Iwamotocho Station on the Toei Shinjuku line. Train: 4-minute walk from the east exit of Kanda Station on the JR Yamanote line. Comfort Hotel Tokyo Kanda is located in Tokyo's Akihabara, Kanda and Jimbocho district. See our complete list of things to do in Tokyo's Akihabara, Kanda and Jimbocho district, including places to eat, nightlife and places to stay.